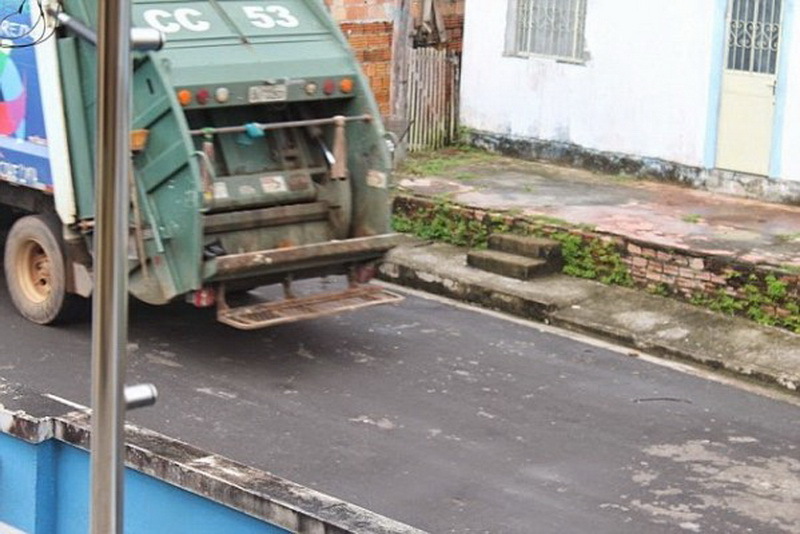 #1 Garbage collector, Jadson James Franca accidentally drove onto the curb and hit a dog. 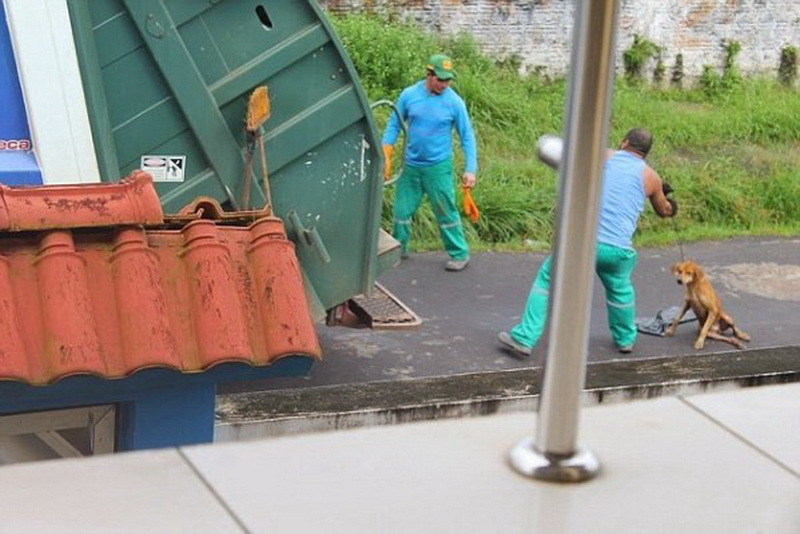 He was working in Presidente Figueiredo, Brazil at the time, and he was accompanied by several other coworkers. 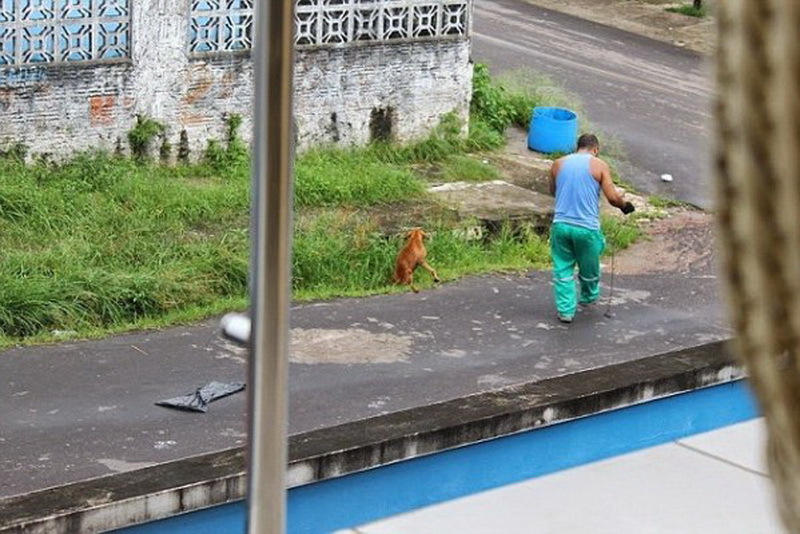 #2 The dog suffered two broken legs when the garbage truck slammed into him. 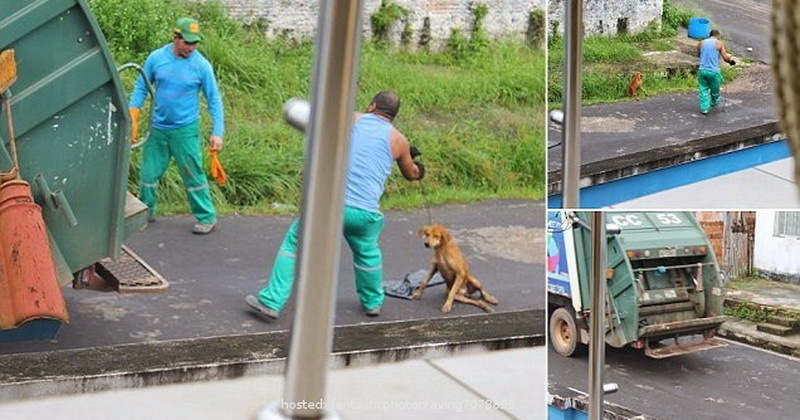 #3 Jadson James Franca threw the dog into the compacting mechanism of his garbage truck, intending to crush the dog alive. 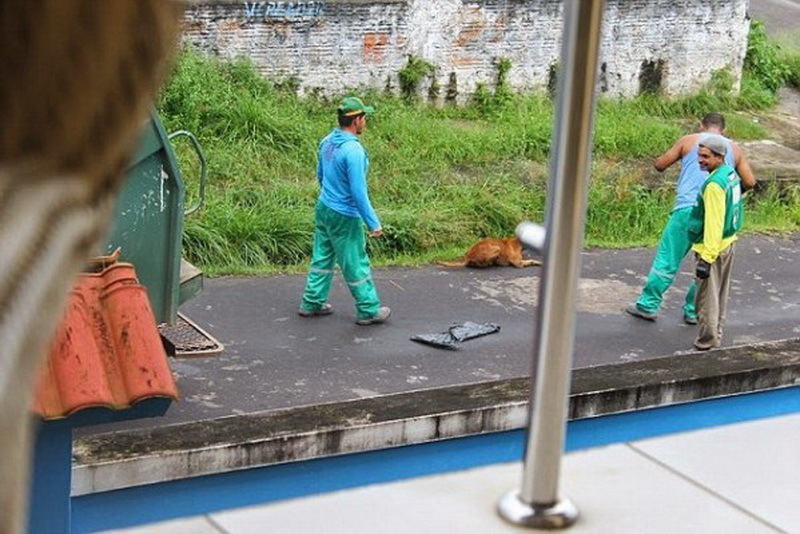 #4 Conclusion: The binman was fired from his job an charged with aggravated animal cruelty. There were plenty of appalled witnesses to this crime, some of which were taking photos while the animal was being killed; yet, nobody dared to stop it from happening.